Evergreen trees are, just as their name describes, ever green! 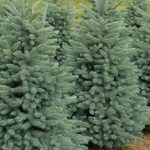 Unlike deciduous trees that drop their leaves in the fall, evergreens have needles that are not shed but remain year round. They shelter us from winter’s snow and winds and provide much needed color to the landscape during the cold months. 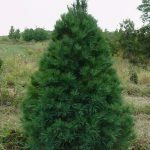 Fir, pine, spruce, and cedar trees are varieties commonly planted and enjoyed in our landscapes.